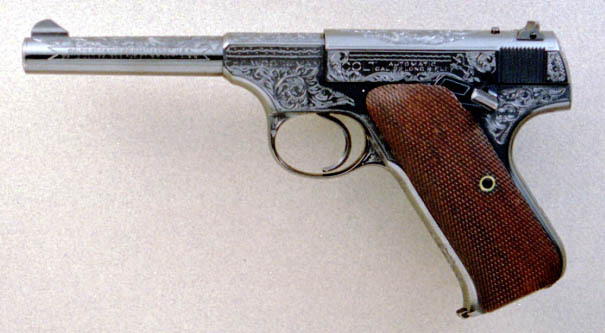 One of only about 14 Colt factory engraved pre-WWII Sport Models, in 99%+ condition. This Woodsman, and Target Model SN 102069 (reference #5), were shipped out on Loan Account by Colt in the 1930's to various high end department stores and sporting goods stores for advertising purposes. Both were engraved on the same work order.